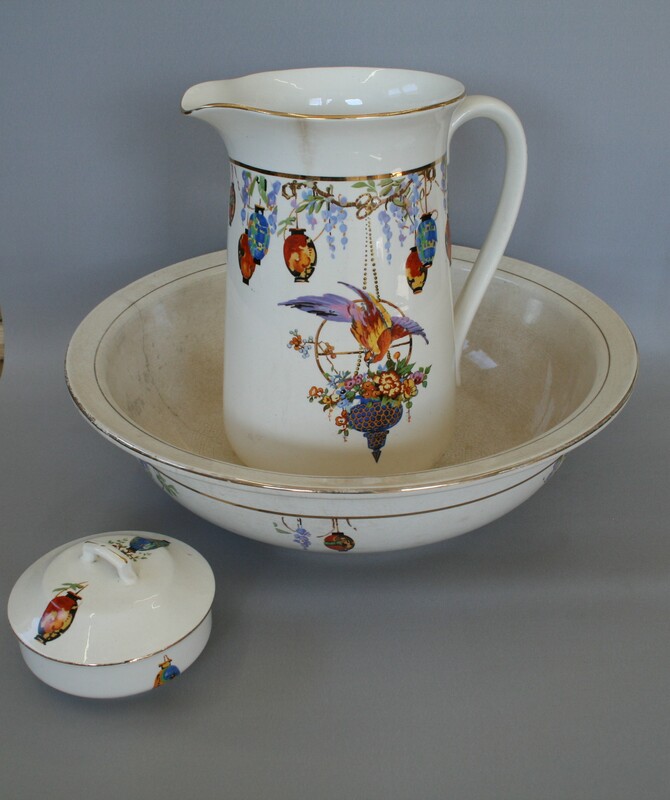 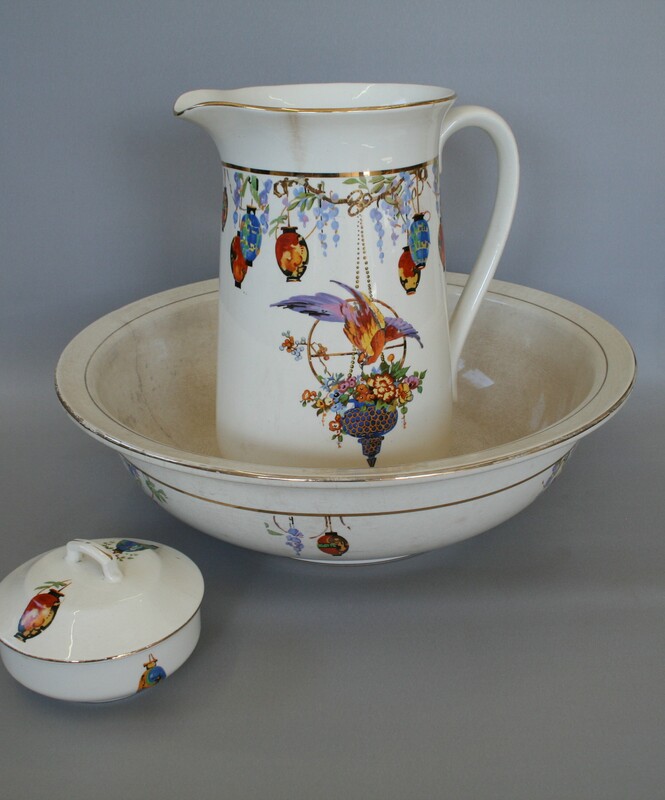 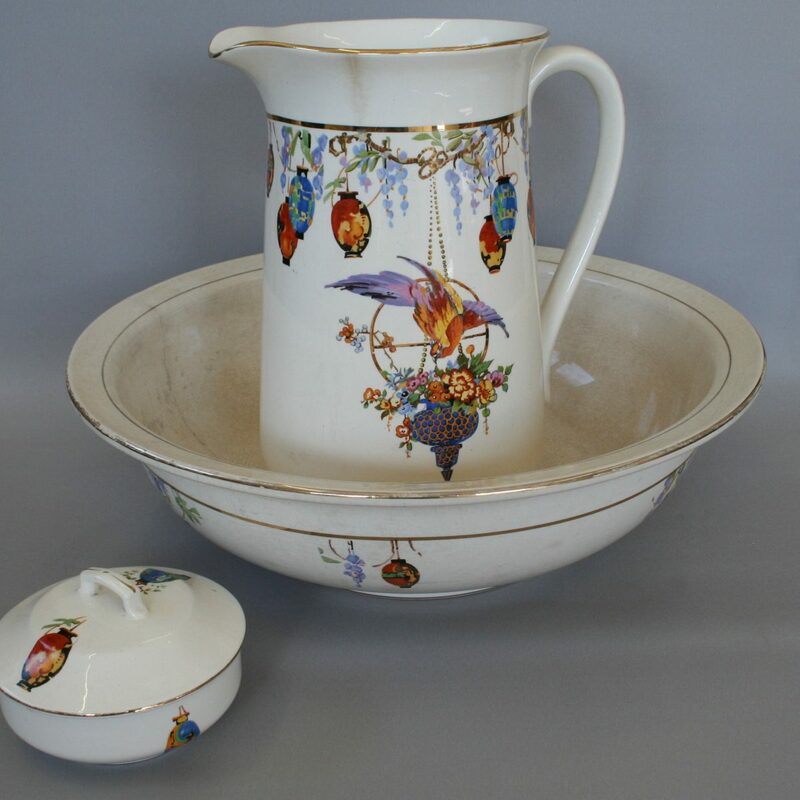 A large Falcon ware jug and basin with matching trinket box. It has a cream background and is decorated with a parrot, flowers and Chinese lanterns. There is a slight crack to the bowl.